We’ve all heard the age-old maxims around networking such as “It’s not what you know, it’s who you know” and “Your network is your net worth.” Of course, these quotes apply to people with careers in marketing and sales… but they also apply to physicians. Whether you’re working to land your first job or your fifth, knowing how to network skillfully, gracefully and confidently will help you find opportunities you may not have otherwise discovered. Networking cuts down on the time that your job search requires, and moves your CV to the top of the pile. Tap into the “brain trust” surrounding you. Your colleagues and mentors from residency and fellowship are a vast source of knowledge and they can get you connected to the people who may hire you. Your colleagues know your interests, they know the field, and they can share their own personal connections. Residency and fellowship colleagues are also some of your best potential job-search teammates because they are often job-seeking at the same time as you. Explore what resources or prep sessions your program offers. Make sure you’re taking advantage of any job-search training or prep that your program already offers. In doing so, try to facilitate conversations with colleagues and program directors about your post-residency job-search plans. Some programs even hold one-hour directive sessions every month, covering topics like how to search for jobs, what to look for in a contract, how to determine where you want to live, how to interview, and even how to open your own practice. Contact any person or organization that can help you target an opportunity. Approach former colleagues and individual health organizations; briefly explain that you are embarking on the next step of your career and ask if they would put feelers out. 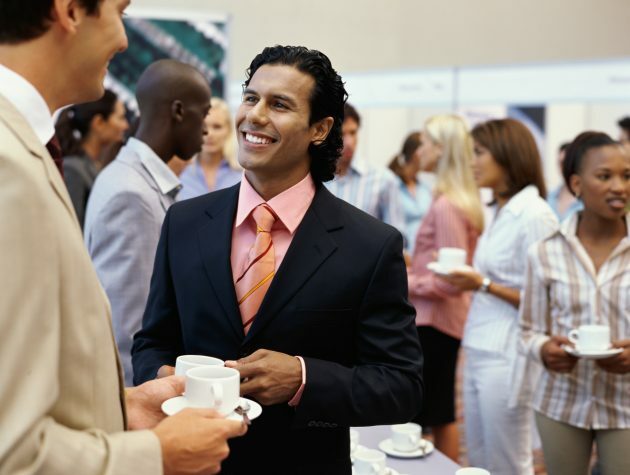 Attend job fairs: they are an excellent opportunity to survey what opportunities are available locally and to shake hands with a high volume of recruiters. By uploading your CV to physician job sites like PracticeLink.com or PhysicianCV.com, you can instantly get it in front of recruiters looking for candidates like you. Think of your new CV like an online dating profile; all those details serve to help the right fit find you. Get to know the recruiters in the area where you currently live and the recruiters in the areas where you are interested in practicing. Even if a recruiter isn’t hiring for your specialty, once you have established a relationship, you can ask the recruiter if they can put you in contact with someone who is. In-house recruiters, networkers by nature, are often aware of the opportunities of other recruiters and can connect you with excellent job leads. When you’re talking with recruiters, you can even ask them for networking advice; perhaps they’ll share some tricks of the trade with you.